You won’t find a more delicious seasonal smoothie that’s this fast and easy to make! It was created by our friends over at Playa Bowls, a super-cool chain of stores here in New Jersey known for their acai bowls, smoothies and great coffee! These folks are true Fusionistas when it comes to blending amazing creations with PlantFusion. We wanted to share two simple recipes that they whipped up for the Halloween season - a smoothie and an acai bowl. Take your pick, they are both fantastic! If you haven’t checked out Playa Bowls, it’s worth going out of your way for: . 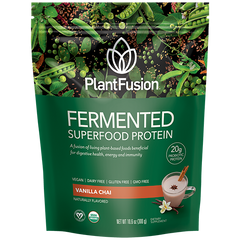 Mix acai frozen mix with PlantFusion protein in a blender and blend until smooth. Place in bowl as base. Cover the base with thin layer of pumpkin granola. Cut banana in slices and domino layer around the edges. Sprinkle pumpkin spice over the top and then drizzle with pumpkin butter. 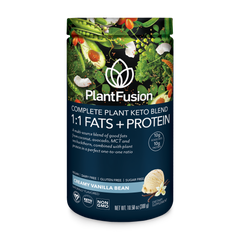 Try PlantFusion FREE today, click here for free sample kit which includes TWO samples plus a $5.00 coupon!